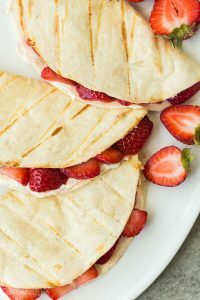 These Strawberry Cheesecake Quesadillas are a simple grilled dessert recipe that is easy to prepare and tastes incredible! Switch up the fruit and flavours to make your own variations, or take them to the stovetop to enjoy all year long. 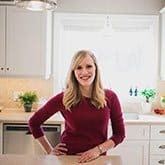 Summer is here, friends, and I’m so excited to bring the cooking (and the eating!) back outside. We regularly grill our dinners around here, and I think it’s time we bring our dessert to the grill as well! 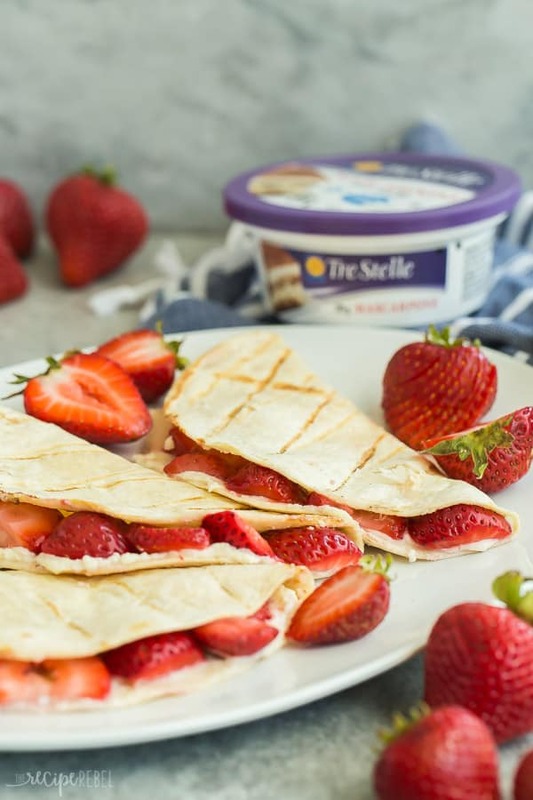 Grilled fruit is a great place to start but today we’re taking things up a notch by adding Tre Stelle Mascarpone to some fresh, local strawberries and grilling them up inside a flour tortilla for the ultimate dessert quesadilla. This right here is one of the best summer desserts there is. No heating up the house, no mixers going and mixing bowls and measuring cups spread across the counter. Just a few simple ingredients and a grill, and you’ve got it made. Around here, strawberry season is short and although we pick as many as we can get our hands on, it has to end eventually. These strawberry cheesecake quesadillas would be great with just about any fruit, so feel free to use what you have on hand! Choose your ingredients wisely: start with fresh in season fruit (when possible!) and Tre Stelle Mascarpone to make these the best they can be! If you want to get adventurous, you can add some extra flavour to your mascarpone cheese: grated lemon zest, a teaspoon of cocoa powder, or some smooth peanut butter for a PB&J style quesadilla — or keep it simple! 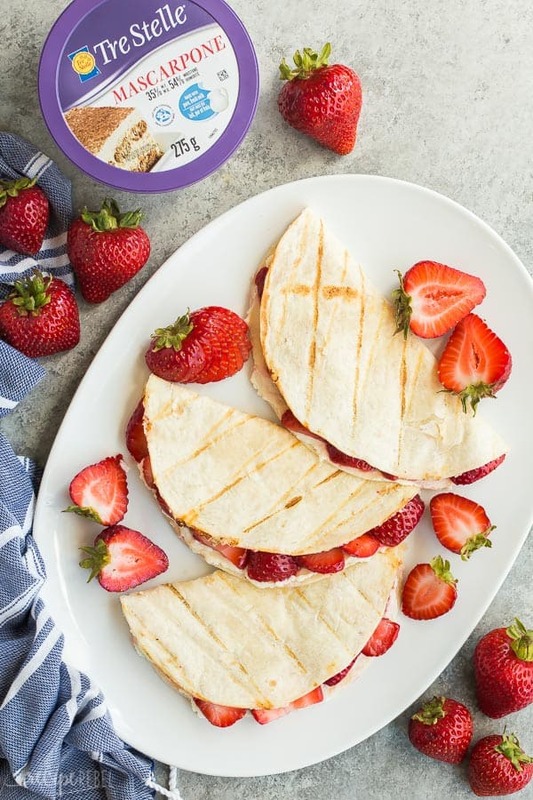 These Strawberry Cheesecake Quesadillas are great for preparing ahead of time if you’ve got company coming. You can prepare the Mascarpone, slice the strawberries, and even assemble the quesadillas (hold off on the grilling!) up to 3-4 hours in advance! (Any longer and your sliced strawberries start getting a little dry). Just be sure to wrap in plastic wrap or store in an airtight container until you’re ready to grill. 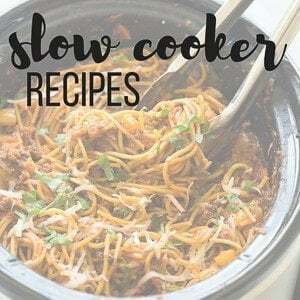 *This post is generously sponsored by Tre Stelle Cheese and I was compensated for my time in creating this recipe – thank you for supporting the brands that make The Recipe Rebel possible! Preheat grill to medium (about 350 degrees). 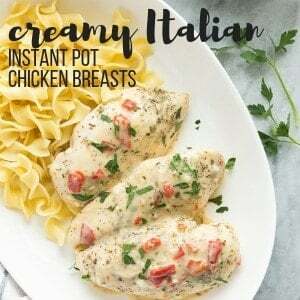 In a medium bowl, stir together mascarpone cheese, sugar and vanilla extract just until combined. Spread 1/4 of marscarpone onto each tortilla and top with 1/4 of the sliced strawberries (you want enough to cover the tortilla). Fold in half to close. Place on the grill and cook for 1-2 minutes per side, just until warm and lightly crisped (too long and the mascarpone will start to run out!). 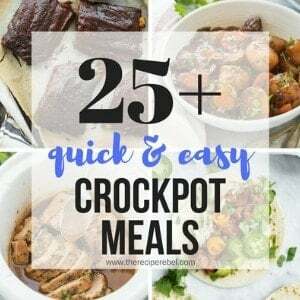 Set aside to cool for 5-10 minutes and serve warm. Now these are my kind of quesadillas! They look amazing!